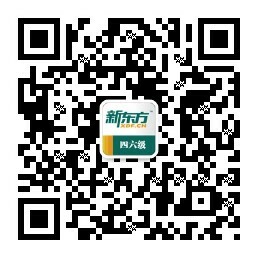 It is impossible for 刚刚毕业的大学生 to 找到高薪的工作. 那么“刚刚毕业的大学生”怎么写?英语里面好像找不到一个表示“刚刚毕业的”形容词放在大学生前面，所以就要用定语从句，写成college students who have just graduated，如果graduated不会写，先写成left;然后怎么写“高薪的”，英语里面也没有这样一个形容词放在jobs的前面，所以用定语从句，写成to find jobs which can give them a lot of money. 这样这个句子将写成：It is impossible for college students who have just graduated to find jobs which can give them a lot of money. 下面我们看看能不能润色一下：第一句话我们将熟悉的many改为heaps and heaps of(一批一批的)，这是换词;然后：from universities;又想到还有独立的学院，再加上and institutes. 第一句话变成：Every year, heaps and heaps of college students graduate from universities and institutes. 第二句和第三句可以用定语从句连接起来，因为第三句的主语是第二句最后jobs的重复，所以②+③成为：They all want to find jobs, which can give them a lot of money. 这样这句话就成为：They all want to find jobs, which they hope can offer them handsome salaries. 于是成为：They all want to find jobs, which they hope can offer them handsome salaries, but this is hardly possible. 所以最初的那句话，经过拆解、加工(换词和连句)形成了下面的一组句子：Every year, heaps and heaps of college students graduate from universities and institutes. They all want to find jobs, which they hope can offer them handsome salaries，but this is hardly possible.